I’ve written posts here before about Dr. Martin Luther King, Jr. and how he and his life and work meant so much directly to my parents and indirectly to me as I was not quite eight years old when he was assassinated. I’ve studied him at length over the years and I’ve grown to admire him greatly. 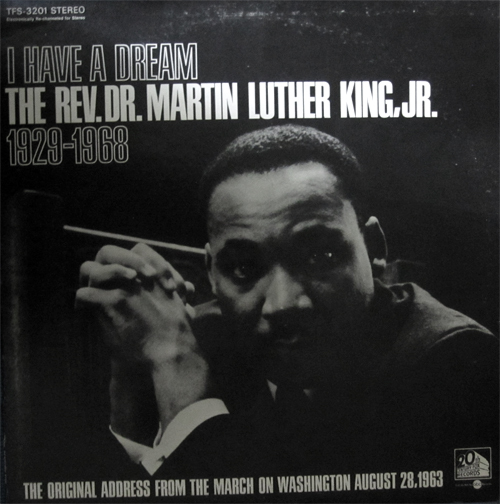 I recall that a few weeks after Dr. King’s murder, my parents bought the album that you see pictured here, which included Dr. King and many other speakers from the day, including Roy Wilkins, A. Phillip Randolph and John Lewis. The liner notes by the way, were written by the great jazz writer and 1st amendment advocate Nat Hentoff. That album was on heavy rotation in my home for at least a year, maybe more. In that time I became extremely familiar with Dr. King’s words from that day and the majesty of his oratory. In addition, I was exposed to the stentorian tones of Mr. Randolph and the youthful passion of Mr. Lewis both of which have stuck with me to this day. As I got older and did a little acting, I was asked on many occasions to recreate Dr. King’s word from that day in 1963. As I took on the daunting task of memorizing the entire 16 minute plus speech, the words grew in meaning for me exponentially. I always felt that the public was cheated each year during January and February when television would truncate everything down to the words “I have a dream” and “Free at last, Free at last…”. To me it was if you had reduced the entire Holy Bible to “Jesus Wept” (John 11:35). In most cases, I was asked in performance to “skip to the good part”, beginning with “I say to you today my friends, so even though we face the difficulties of today and tomorrow, I still have a dream…”. (This is the first mention of the immortal words, which occurs about 11 minutes in, when King decided to abandon his prepared text and decided to “preach”, using words he first had used in a speech in Detroit two months earlier.) As a performer, I understood why folks asked me to do this. There’s still a little over five minutes left in the speech and all of it is highly memorable. But it was still frustrating as even five minutes was too much for some. I remember the youth pastor of a church that I was attending, begging me to come out to Jones Beach one Sunday evening to deliver “the good part” at a summertime concert. He asked me to come in full suit and tie, which made me feel ridiculous while everyone else, this pastor included, was in t-shirt and shorts. He then took a few minutes to apologize to the audience before I came on, because I was going to deliver “the whole speech” as he called this 5 minute segment and he then begged them not to leave while I performed. Having been set up for failure, I nevertheless went on, in spite of being now mocked by some drunks who felt empowered by this man’s apology. The final insult came when this youth pastor returned as I finish to literally hold me in place on the stage while he told people “you see, that wasn’t so bad, was it?” While a loud, bad Christian rock band played behind us and he screamed about “Freedom” and “Brotherhood”, while hoisting my hand in the air with his. I’d never been a theatrical hostage before. It was a new experience. And I left feeling totally used and extremely angry. Anyway I told that story because I had to finally get it off my chest after twenty years. I can now put it to rest. The main reason I write today is to post this video of the entire 16 minutes of Dr. Martin Luther King’s “I Have a Dream” speech, which was once titled “A Cancelled Check” during earlier drafts. If you watch this you may figure out why. I’ve also included a clip of Dr. Billy Taylor’s beautiful King tribute “His Name Was Martin” featuring Dr. Taylor on the piano and the wonderful Ingrid Jensen on trumpet. And a fascinating piece by the great Max Roach, featuring his drum solo against some of the famous quotations from the speech. I hope that you’ll enjoy that as well. Our newest Obscure Jazz Masters series will deal not with an instrument, but with gender. I’ve seen many articles and musical compilations that deal with “Women in Jazz” but most seem to overwhelmingly favor singers. The reason is kind of understandable. For so long, “vocalist” has been the dominant role of women in jazz. And yes, the list of great female jazz singers could fill many a book and blog and start many unwinnable arguments. However, the list of legendary female instrumentalists is much smaller. If asked to name ten great jazzwomen who didn’t sing, many people will start with the great pianist Mary Lou Williams, perhaps follow with organist Shirley Scott and then begin to mumble and stare at their shoes. It’s not the fault of the artists. From its roots, jazz has been a male dominated genre, except for the singers. Women on an instrument have often been viewed unfortunately, as a novelty act; especially if they play anything but the piano. And even then, many fine women pianists have been pushed toward singing, in order to make themselves more “palatable” to mainstream audiences (as if a woman displaying instrumental virtuosity would frighten children or something!). Thankfully, times have begun to change, albeit at a glacial pace. Though there is still a considerable amount of chauvinism in many corners of the jazz world, I’ve been encouraged of late by the number of very good female instrumentalists that I see on the regularly on the jazz scene; Ingrid Jensen, Anat Cohen, Sherrie Maricle and the indomitable DIVA Jazz Orchestra, Geri Allen, Cindy Blackman, Tia Fuller and of course, Grammy Winner Esperanza Spalding are just a few of the women who are kicking down the boys club door. These artists (and more) offer uncompromising musicianship at a level of excellence that makes their gender irrelevant. So this next series of undeservedly obscure jazz masters will consist of ten women instrumentalists. Most of them are not active today, but all of them had a lot to say with their axes. Some of them will be familiar names to those well versed in the idiom, but that’s cool. My objective with these series is not to stump the cognoscenti, but to bring someone new to the attention of the casual to moderate jazz listener. 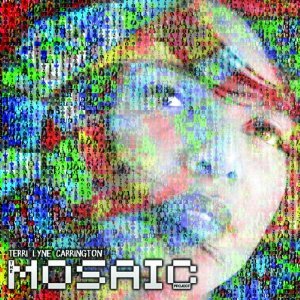 I’ve tried to provide a few available recordings and musical samples by each of the artists; so if you dig them, you can buy their music… better late than never. They will be listed in alphabetical order; one per post; starting with the next post, tomorrow, April 1. Please feel free to leave comments. I love reading them, I will post them all (unless they are obscene or spam) and I try to respond to as many as possible.